[ARCHIVED THREAD] - Made a magpouch sidecar for "Plan B"! Now it's secure, hides well, and easy to grab with the support hand. Just don't stab your P320 when you reload. 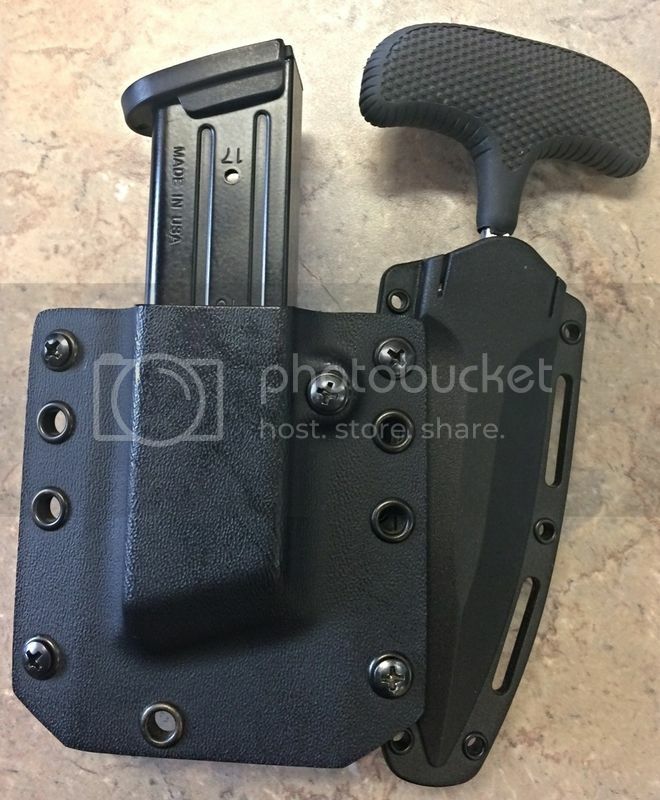 Friend of mine that I ride with has a knife like that strapped to his camelback. He has it zip tie secured but it is a really small zip tie so he can pull it..